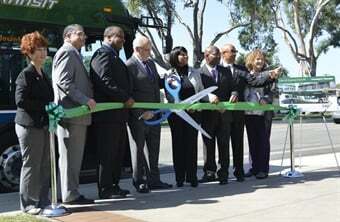 Calif.'s Torrance Transit held a ribbon-cutting ceremony for its Line 4X Express service at Torrance City Hall. The Torrance Transit Line 4X Express, which launches Monday, will replace the original Line 4 that was developed in partnership with L.A. Metro and other municipal transit operators. "The Line 4X Express provides bidirectional service now," said Torrance Transit Director Kim Turner. "We go up and back during peak hours, only in the a.m. and p.m. In addition to that, it's providing service on Saturday that we didn't have initially. So now it will afford our residents and our passengers to go downtown in a one-seat ride on Torrance Transit." Along with providing transit for commuters, the express service is designed to connect various points of interest between Torrance and Downtown Los Angeles, including the Del Amo Mall, Torrance Civic Center, USC, Exposition Park, the L.A. Convention Center, L.A. Live, and the Staples Center. 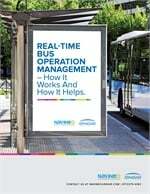 Torrance Transit is working on a comprehensive operational analysis next to determine what adjustments the organization will make on the line. The analysis includes surveying Torrance constituents, said James Lee, administration manager. "We'll talk to seniors, we'll talk to students, we'll talk to the disabled," Lee said. "We'll talk to everyone and find out from them, 'What kind of transit service do you need?'" The comprehensive operational analysis will run between a year and 18 months before making adjustments to the line. Torrance Transit is also looking into expanding Saturday service hours, opening service on Sunday, and using an all-electric bus fleet, Lee said. Rides will cost passengers $2 each way. Senior citizens will be able to ride the Line 4X for 75 cents and students will be able to ride for $1.